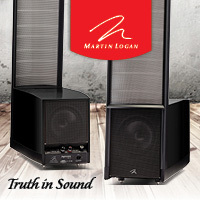 For a few years, MartinLogan’s Summit was their flagship speaker, and it received worldwide praise. At the beginning of this year, MartinLogan took what they’d learned building the new flagship CLX full-range electrostatic speaker system and the Spire hybrid, and they created the current Summit X. Just like the Summit, it features a pair of powered 10-inch woofers with one facing toward you and the other firing toward the floor. Though it looks similar at first glance to the Summit, the Summit X is a completely different product. MartinLogan’s Devin Zell told me, “We scrapped the CAD drawings for Summit X. The panel is new, the woofers are new and the crossover is new.” ML also added some cool light-blue lights that fire from underneath, giving the speakers a glowy feeling in your room. “We just did that for fun,” Zell laughed on the phone as we discussed the added bling. For many of you who like to listen in complete darkness, this is probably not going to be your bag. But put me on the list of people who like it. 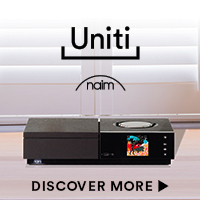 If they could only make them glow lime green to match the LEDs on my Naim and Burmester gear, I’d like it even more. One handy addition to the lighting is the added LED that lights up the 25 and 50hz settings on the woofer modules, and work quite nicely. This makes fine adjustment on the speaker easier than it was with the standard Summit. And yes, you can shut it all off, which should keep all the molemen in the audience happy. For those of you not familiar with the MartinLogan product line, the Summit X has a rated frequency response of 24-23,000 hz (+/- 3 db) comprised of an electrostatic panel mated to a pair of powered 10-inch aluminum coned woofers at a crossover frequency of 270hz. It also features a pair of bass level controls at 25 and 50hz, which makes the Summit X easy to adapt to your room. On paper, the specs are essentially identical to the original Summit that it replaces. 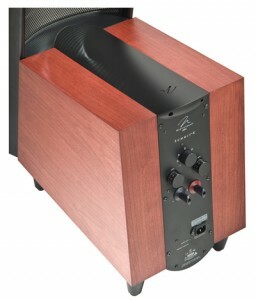 MartinLogan finished the production run of the Summit in 2008, and the Summit X became available in spring 2009. The Summit X carried a price increase of $3,000 over the Summit, and despite rumors that the Summit would be upgradeable to X status, this was not the case by the final release of the new speaker. Quite a few people at MartinLogan anguished over this, but by the time the design on the Summit X was finalized, there were too many physical changes in the new speaker to make the upgrade possible and cost effective for the customer as well as ML. Where the last version of the Summit started at $10,995, the Summit X’s base price is $13,995. As in the past, a wide range of custom finishes is available through the MartinLogan custom shop. The enclosed manual with the Summit X should get you set up in short order, and there are really two sides to this story. The legacy MartinLogan owners probably don’t need much input from me, and many of you have your own theory on how you like your Logans set up. Personally, I like ‘em as far away from the side walls as possible. While this is not convenient for everyone, the further you can get these babies from the side wall, the greater reward you will reap in soundstage width. The Summit X worked much better on the short wall (16 feet) of my studio than my reference CLX’s, when on the long wall (24 feet). With each speaker about seven feet from the side walls, they really opened up. If you just can’t achieve this in your listening room, some modest room treatment just behind the panel and about two feet in front of the panel on the side wall will help tremendously. Again optional, but well worth it if possible, is to get everything out from between your speakers. Because they radiate from the front and back, the stereo image really suffers with a big rack of gear and giant flat-screen TV between the Summit X. Or any other panel speaker, for that matter. My final listening position had the speakers just over nine feet apart, with the front surface of the panel 42 inches from the rear wall, slightly toed-in. This put my ear-to-speaker distance just shy of 10 feet. I would suggest at least a Radio Shack sound-level meter and a test tone disc to fully adjust the 25hz and 50hz controls on the back. This along with some careful positioning will help smooth out the bass response of the Summit X and give you their maximum drive. Identical to the last three MartinLogan Hybrid speakers I’ve used, the Summit X will require about 200-300 hours before sounding its best and achieving the maximum amount of integration between the dynamic woofers and the electrostatic panel. 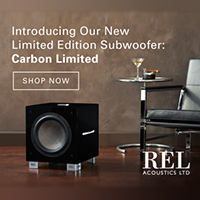 When you first fire them up out of the shipping cartons, the bass will sound somewhat slow and bloated, no matter where you have the woofer controls set. The biggest improvement will be in the first 100 hours, with incremental smoothness happening thereafter. Not as sensitive to placement as the CLX, the Summit will still benefit from careful adjustment. Once you have the speakers where you feel is the proper place, use your measuring devices of choice to get them identically placed from the rear wall in terms of toe-in and rake. If you can get each speaker within one-quarter to one-half inch of the other, this will help the image size and focus. Thanks to longer spikes than the Summit, the Summit X offers a wider range of adjustment on the speaker rake, making them easier to adapt to your listening position. If you like your seating position further back, angle the speakers backwards more. If you like to sit closer, you can now angle these speakers from 11 degrees to -1 degree. 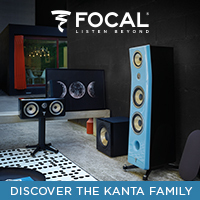 All of the top-range MartinLogan electrostatic speakers share a similar sound; big, open, airy and very dynamic. 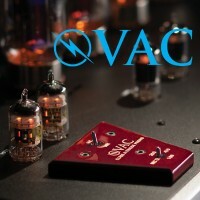 As I said in my review two years ago about the original Summit, this is an electrostat on which you can play Metallica if you have enough clean amplifier power. They are not as dynamic as a pair of Wilson Maxx 3s or some large horns, but the slice of musical heaven these speakers offer cannot be had by cone speakers either. The Summit X continues this tradition and improves on all of the Summit’s strengths with no downside (other than the increased price). 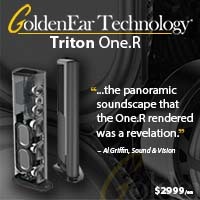 Even though the frequency response specs are the same, this is indeed a different speaker. 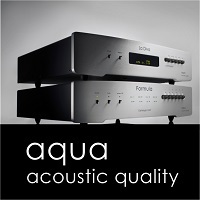 The big improvement is in the quality of the bass response and the integration of the cone drivers. The bottom line: it works very well. While the Summit X comes up a bit short in comparison to the flagship CLX in terms of upper bass speed and articulation, I feel that it takes hybrid speaker design to a new plateau. No matter what kind of music you like to listen to, the Summit X will deliver the goods. The main strength of the Summit X is that it throws a huge soundfield in all directions, giving the listener a very immersive experience. This is the MartinLogan magic at its best. These are speakers that you will respond to strongly, or they will not be your cup of tea. Thanks to that low 270hz crossover point, most of the music is reproduced by the panel, and this coherency is what gives the Summit X most of its appeal. Male and female vocals are both reproduced exquisitely, and the speaker does an amazing job at disappearing in the room for its size. When the low-frequency controls are properly adjusted, the Summit X has a substantial amount of deep, controlled bass that should satisfy 98 percent of its owners. If you listen to a lot of pipe-organ music or club music with a lot of deep bass and the 24hz cutoff of the Summit X is not enough, you can add one or two Descent i subwoofers. When adding the Descent i to the system and letting the Summit Xs run full range and crossing over the Descent at 35hz, I was getting solid, wall-shaking output when playing the 20hz test tone on the Stereophile Test Disc. Analysis paralysis is setting in but people want answers, so I’m going to put my head on the chopping block. The Summit X is definitely an improvement over the original Summit and in my opinion definitely worth $3,000 more than the earlier model. Listening to them side by side in the same system, the X model does a better job at bass integration with the panel0 and thanks to the dual woofers, it should not need a subwoofer except for all but the most demanding applications, or for heavy-duty home-theater systems. Just like the Spire, the midrange in the Summit X is slightly less colored than that in the original Summit, though you don’t notice it until you hear both side by side. I’ve seen people buy $3,000 worth of wire that didn’t offer anywhere near the improvement in performance that the Summit X does over the original, but I can’t tell you how to spend your money. The Summit X also edges out the Summit in terms of low-level detail retrieval and microdynamics. Cymbals and percussion instruments fade out with longer gradations than they did before, and very dense musical pieces are unraveled more easily. Listening to both speakers side by side, each seemed to be able to play equally loud without fatigue. So this is definitely an evolutionary upgrade. 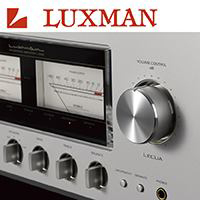 This builds on the strength of the original Summit – the Summit X is a resolving speaker that can be used to judge source components costing considerably more. While $13,995 is by no means a budget loudspeaker, the Summit X holds its own in a six-figure system. The dilemma facing the small group of Summit owners who want to make the step up is the cost of the upgrade. They’re looking at about a $7,500 investment to make the leap from Summit to Summit X because the current used pricing of Summits is hovering around $6,000. That’s the tough call and some feathers have been ruffled, but no one said playing the HiFi game at this level was going to be easy. The other big question with the Summit X is what to drive them with, and there is a fairly wide range of discussion on this topic. Many people swear by “tubes and stats,” and I used to use my CLS’s with the legendary Audio Research D-79. But the current MartinLogan speakers dip to .7 ohms at 20khz, so if you have a tube power amplifier, I might suggest an audition with your amplifier before buying the Summit X, even if it means lugging your amp to your MartinLogan dealer. The tube amplifiers with which I’ve achieved the best results with current MartinLogan speakers have been the BAT VK-55SE and PrimaLuna Dialog Monoblocks. 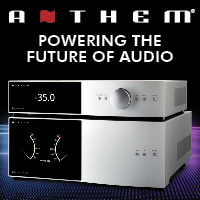 Even though these are medium-powered amplifiers in the 50-60 watt per channel range, they offer low-output impedance taps, offering a better transfer of power to these speakers. 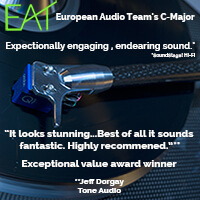 I’ve also had excellent results with the Manley 250 monoblocks. I feel that mating tubes with the Summit X is a case-by-case situation. You’ll know when it’s wrong immediately. 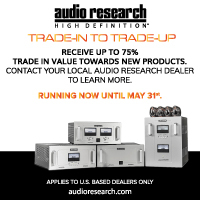 If your favorite tube amp doesn’t have the juice, the speakers that sounded great at the dealer will sound like they have blankets over them in your listening room. Don’t say I didn’t warn you. Though these speakers have a fairly high efficiency rating of 91db, the more clean power you can throw at them, the better. I did not get the same level of dynamic contrast with 70-100 watt amplifiers as I did with 300- 400 watts per channel. I’d call the Summit X the Charles Barkley of loudspeakers. It plays better than it will probably ever get credit for and it would have been a superstar if Michael Jordan (the CLX) hadn’t come along at about the same time. But it’s still able to mop up everyone else on the court. Well, I can’t compare speakers to cars all the time, can I? The good news is that the Summit X is about $10,000 less than the CLX, it has a lot more flexibility and it doesn’t require a pair of subwoofers to really give its all. So perhaps it is a better value for all but the most demanding listener. The Summit was one of my favorite speakers of all time, and the new Summit X is even better. 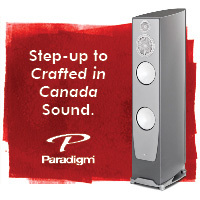 Properly setup with electronics to match, these speakers will paint a huge musical canvas for you to enjoy. 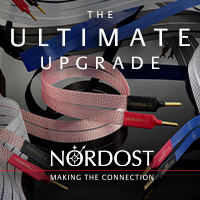 If you currently have the Summit, I’m guessing you will probably pass on the upgrade unless you can easily absorb the price difference. 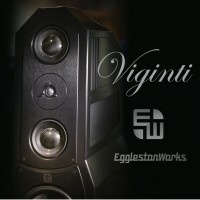 For those new to MartinLogan or trading up from further down the range, it is truly a fantastic speaker and a very worthy competitor in its price range.